I show you how to combine paid search cost AND product revenue AND cost of goods sold to give you a SKU by SKU report on net profit and margin. If you’re managing an eCommerce store or paid search campaigns for clients then you understand the importance of measuring profit and not just top line revenue. I’ve written previously on how to measure gross margins and net profit using a few nifty Google Analytics features but this has known limitations. It’s a nice compass but not quite good enough to be a map. We work with clients that do really amazing things in Adwords and since we’re in eCommerce most have a strong reliance on shopping campaigns. I see some accounts that have very robust campaigns setup with product groups down to SKU level and others that stick to the low/med/high priority level “hack” to manage bids for generic vs SKU vs brand terms. Oh and others where there is a single campaign and product group! This how to guide is for those of you that rely on highly optimized paid search shopping strategies. 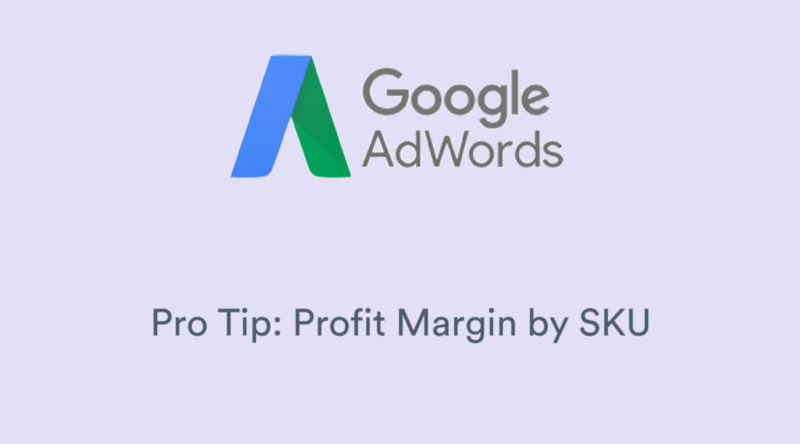 I show you how to combine paid search cost AND product revenue AND cost of goods sold to give you a SKU by SKU report on net profit and margin. You can use the same principles if you’re just trying to see net profit by SKU with cost of goods sold. But there are better ways to automate this use case with custom metrics in Google Analytics. I’m using a Shopify store as an example but this same approach works for Magento, Big Commerce, Salesforce, WooCommerce, etc. Basically any eCommerce platform. I’m not pulling in other marketing costs – like Facebook, etc. But I recognize these exist as well and will be unique to your scenario. Trying to keep this as simple as possible. The paid search costs are NOT inclusive of bids on keywords; these are costs specific to shopping campaigns only. I’m not showing how to automate this…that’s what Elevar is for 🙂 but hopefully I inspire your own ideas on how to automate yourself. It sounds like a lot of steps but the insights you glean are worth it! 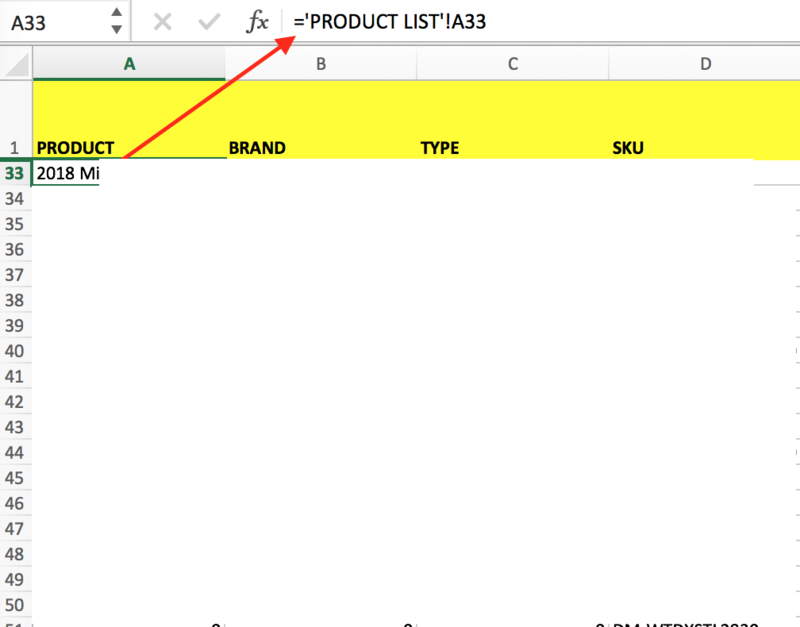 Once I have the file I’ll grab my product name, brand, type, and SKU and delete the rest of the fields. Create a new custom report in Shopify that you can reuse in the future (if you’re using BigCommerce or Magento then you can create similar style reports). 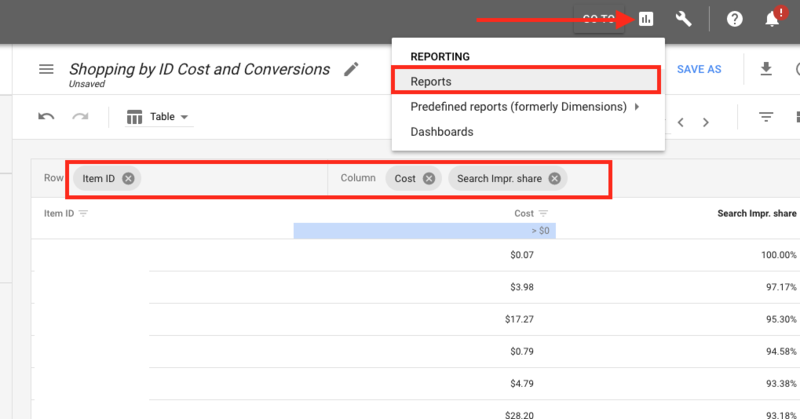 Create this report from Google Analytics to help with automation. The reason I’m showing exporting from a platform is for use cases where you aren’t sending offline hits to GA and/or you have a large % of phone/admin initiated orders that don’t show up in GA.
Why is this important? When you have products included in paid search campaigns that result in more offline purchases then you want that revenue to “count” in your profit analysis. This has several mini steps contained within. 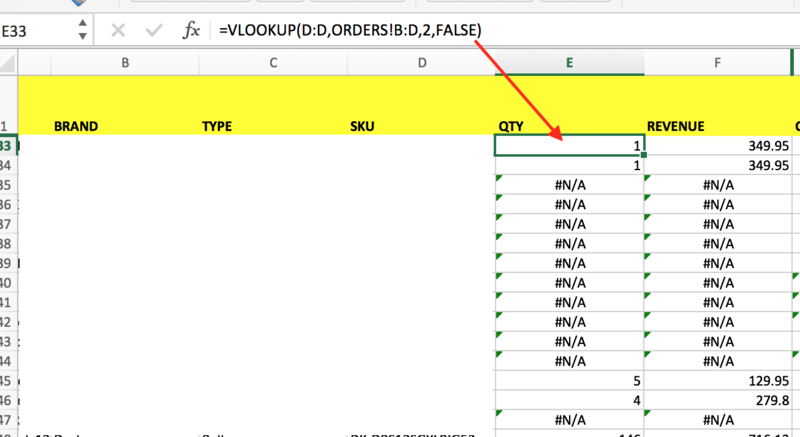 Repeat the vLookup for your revenue column as well. One thing to note: this example is using SKU to join data from orders + COGS + paid search. It’s very possible you might have SKU data for orders and a different ID in AdWords from your merchant center data. If so there are a few extra steps to mash the data together (not shown). I will usually fix all of the #N/As by find and replacing to 0 to try and clean the report up a bit. You’ll notice the little goody “Search Impression Share” at the end. 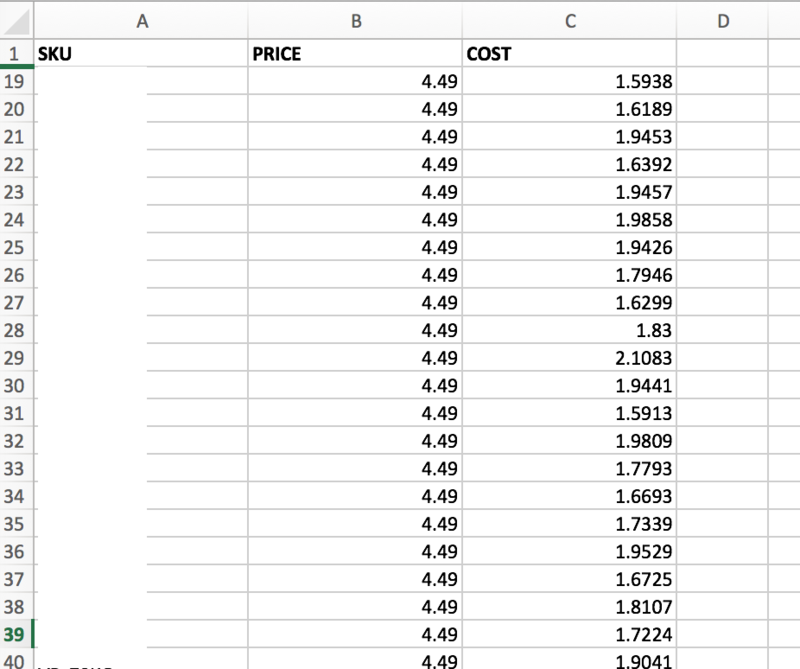 This is also done by a vLookup – I’m intentionally not showing you the exact formula so you can try for yourself! This report produces tons of insights on where to grow and where to cut. When reviewing your search impression share against your margin by SKU you will come up with even more ideas on how to improve your own search strategy! If you have questions leave them in the comments below – and please share if you found this useful! Do you want me to help create a similar report like this for your business? Let’s talk – send me a chat. Sign up to receive our latest posts on how to optimize your eCommerce site. Thanks! I look forward to the start of a beautiful friendship. Check your email, and we’ll get rolling. Driving yourself crazy trying to understand why GA and AdWords conversion values don’t match?